Banks, casinos, entertainment centres and companies with a fun sense of humour can put a smile on client's faces with these fabulous money bags. They are trendy promotional toys that are also stress busters. Get your clients talking about your brand at our next trade show, seminar, corporate occasion or outdoor event. We will brand your personalised company logo and graphics onto the bag for a fun campaign. Also consider our dollar shaped stress ball too. Our listed price includes branding of your logo or graphic in a single colour print. The toys are manufactured from a pliable material that can take a bashing, smashing and be squeezed and squished and not lose their shape. 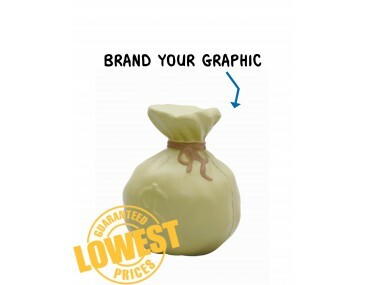 This unique Money Bag shaped stress toy can be custom printed in additional colours using either pad printing (for additional spot colour prints) or digital sublimation printing (for full colour photo quality finish prints). Pricing for both these options can be viewed on the table below. Alternatively to obtain a proper quote, simply call or email a friendly sales team member and we would be glad to assist with a quote. They make fabulous stress relievers in the work place and at home. Stress in the workplace and at home is the hidden cause of many medical problems that are experienced by large numbers of people of all ages. Get your clients relaxing with this fun give-away. The money bag has a dollar sign indented onto the side, it is fat and bursting with cash. The top is closed with a rope that is wound numerous times around the neck and is then tied off with a knot and a bow. This toy also makes a fun desk ornament and will keep you company name in sight of your clients. The branding process is quick and simple, we offer a product turnaround time of two weeks, but we can offer even faster turnaround times for urgent orders. Please note that our prices exclude GST and a print set up of $75 applies. 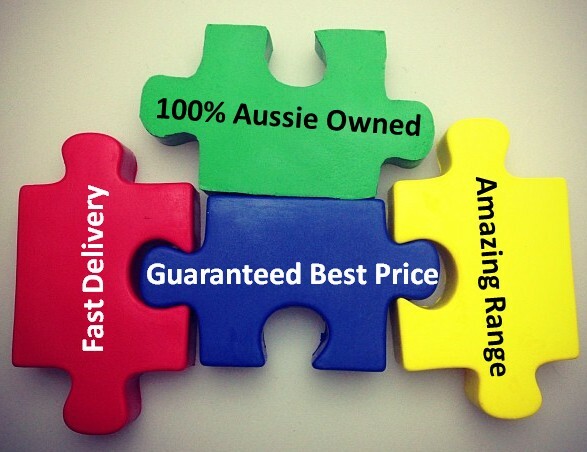 For larger orders ask about our custom made indent production service.Delivery within Australia only.